Toyo Paper Straw Headpiece with Side Bow Detail. 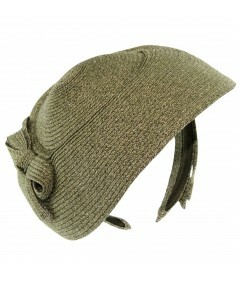 This is our best selling fascinator that is perfect for any occasion April - August. Great fit that is easy to put on and comfortable enough to wear all day. Flip the brim up to create a more creative style with flair. This fascinator can be worn many different ways, from beret to mini hat! Handmand in New York City of lightweight, breathable paper straw. Soft to the hand and chemical free. Enjoy this natural fabric fascinator all summer. You can adjust the fit by squeezing the ends of the headband inward or outward. 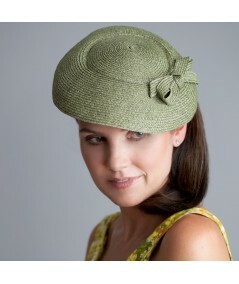 Jennifer's favorite colors for this fascinator are wheat and green, as pictured.